Over the past 150 years at least three local buildings have been called “Lambeth Baths”. The first was run by Lambeth Baths & Washhouses Company Limited and was behind 156 Westminster Bridge Road (between Oakley Street and Lambeth Marsh). At the time of writing we do not know when the baths were built but they were operating in 1860. They were well known and well used by locals. Initially the swimming baths were open during the summer months and swimming cost 6d (2.5 pence) for first class, or 3d (1.25p) for second class. What the difference was between the classes is not known. 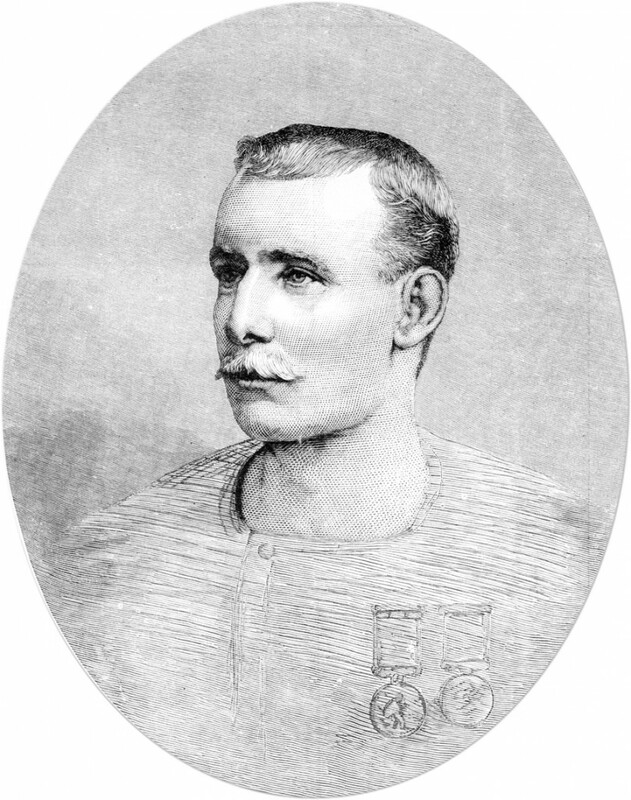 Captain Matthew Webb, 1883. “Captain Matthew Webb” by Illustrated London News – Royal Museums Greenwich. Licensed under CC BY-SA 3.0 via Wikimedia Commons. The Baths were the site of the 1879 Trials of Endurance, a swimming marathon lasting 145 hours over six days. The winner was Matthew Webb, the first Channel swimmer, who beat four racing “pros” by swimming 3,522 lengths or 74 miles. Webb used the breast-stroke rather than the then fashionable side-stroke. Webb also used the baths in 1875 when we was training for his Channel swim. The baths were not only used for swimming as they were also used as an indoor running track (from 1861) and as a public meeting hall. These baths seem to have still been operating in 1902 but probably closed shortly afterwards. 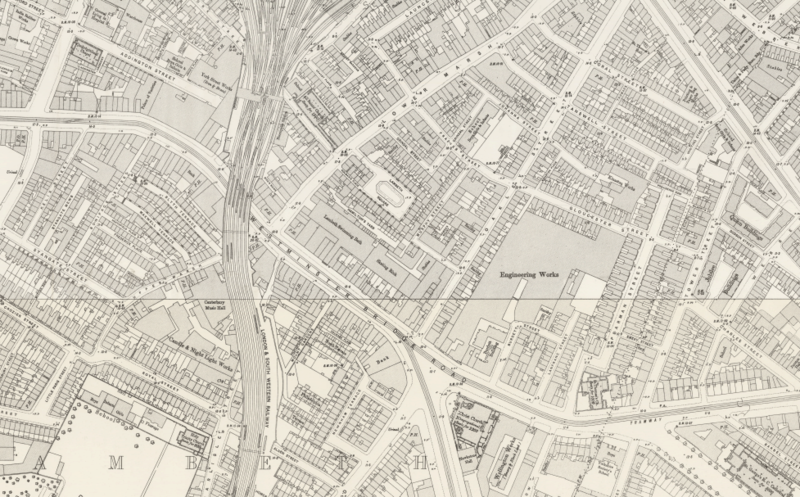 The Post Office Guide for 1902 has an entry for Lambeth Corporation Baths at the junction of Lambeth Road and Kennington Road. They were built in 1897 and operated until 4 January 1945 when they received a direct hit from a V2 rocket. 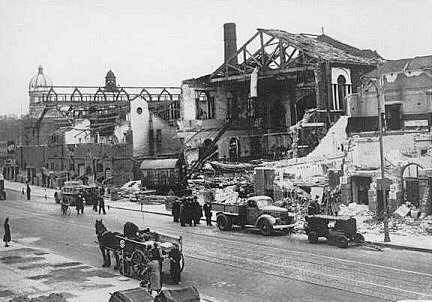 Thirty-seven people were killed in Lambeth’s worst incident of the Second World War. Following the V2 bomb incident in 1945, the Lambeth Road/Kennington Road corner site was redeveloped and in 1972 Lambeth Towers was erected on the site. A new Lambeth Baths was built at No. 1 Lambeth Walk, which we understand housed individual baths and laundry facilities but no public swimming pool. After many years of decline and neglect, the baths were converted in the 1990s into a doctors surgery and a teaching unit for King’s College Hospital.